Add new API key by making sure to add your 2FA code if enabled (we highly recommend using 2FA authentication for your security). Make sure to assign READ INFO permission. After clicking Update Keys, it will show your Key and Secret. Please note that Secret will be hidden after you close this window. 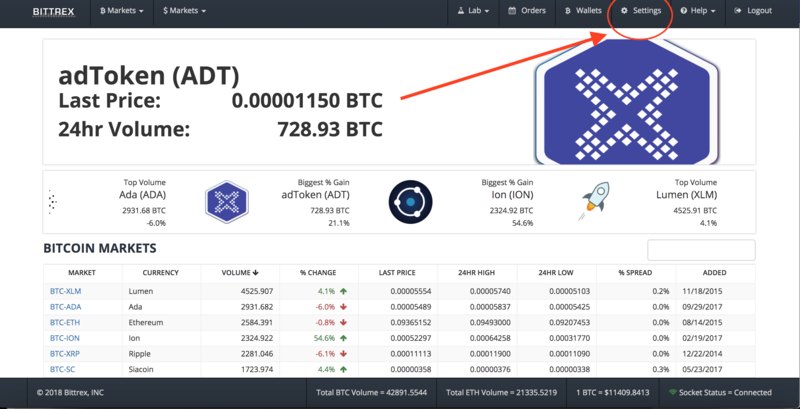 Now go to Coin Stats app and swipe up to far right in your Altfolio Tab and click Add New Portfolio, then select Exchange (API KEYS). 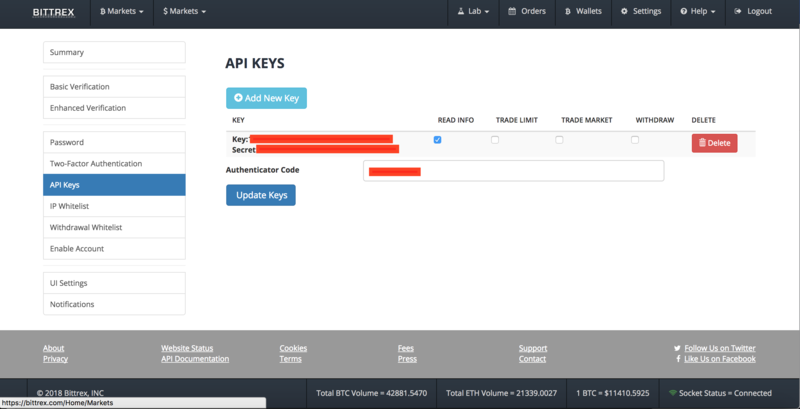 Then select Bittrex and paste your API KEY and API SECRET. 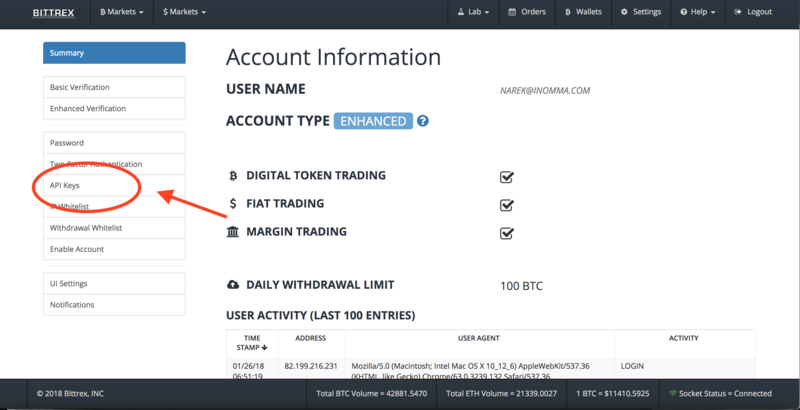 After clicking Add your Bittrex portfolio will appear in your Coin Stats app. Enjoy!